Main Deity : Azhagiya Manavala Perumal. 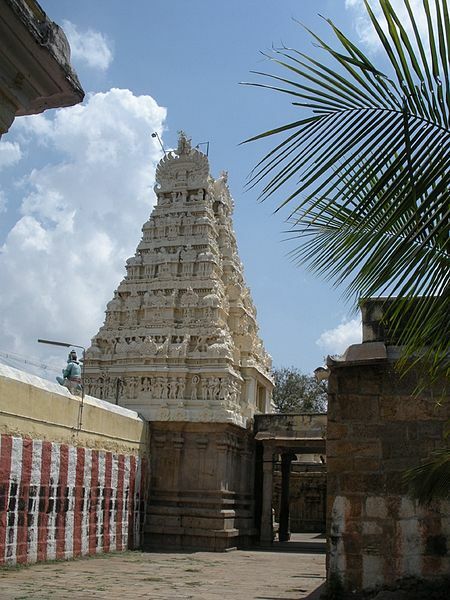 Sri Azhagiya Manavala Perumal Temple is a Divya desam temple situated in Uraiyur inside Trichy in Tamil Nadu. 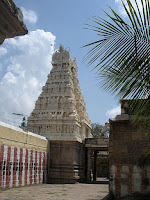 Nearby is the Srirangam temple. Kamalavalli, daughter of a famous Chola King was in love with Lord Vishnu and undertook severe penance to marry him. Impressed by the serious devotion of Kamalavalli, the lord appeared and married her. After marriage she became famously known as Kamalavalli Nachiyar. The temple is better known as Nachiyar Koil these days.